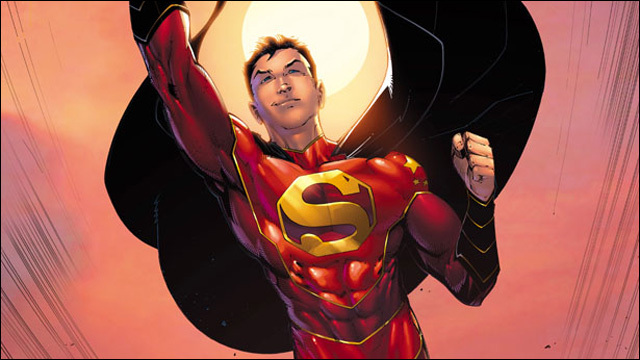 Why the new Chinese Superman went through a name change before he'd even taken flight. Meet Kenan Kong, the New Super-Man! 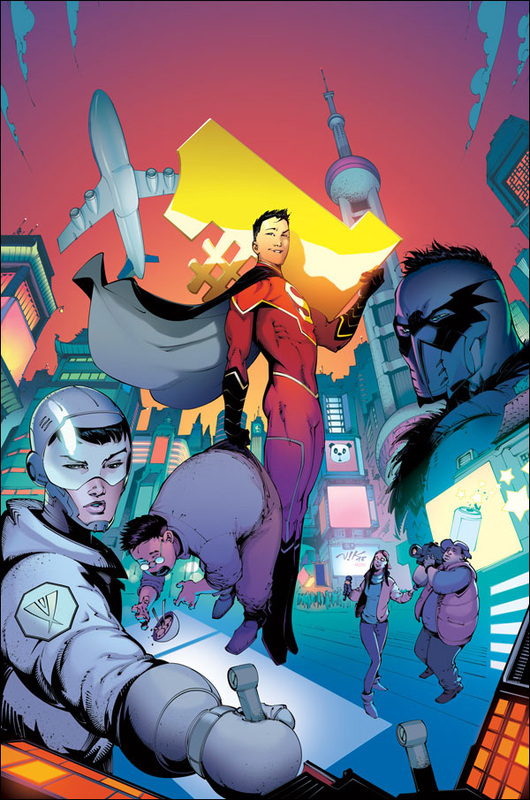 Last month, as part of its much-hyped "Rebirth" initiative, DC Comics announced that its newest high-flying hero, starring in the monthly title New Super-Man, would be a Chinese teenager from Shanghai who finds himself infused with the powers of Superman. Best of all, this decidedly Chinese take on the Man of Steel would be written by acclaimed graphic novelist Gene Luen Yang, with art by Viktor Bodganovich. But first, before this Shanghai Superman could take flight, he would already need a name change. When the New Super-Man was announced, many fans were scratching their heads over the character's name: Kenji Kong. Isn't "Kenji" a really common Japanese name? What kind of name is Kenji for a Chinese dude? One of my first tasks as the New Super-Man writer was to give our lead guy a secret identity, a Chinese civilian name. 1. The name would need to be a plausible Chinese name. 2. The name's meaning should relate to the character's journey in some way. 3. The English version of the Chinese name should be derived using Pinyin. There are different ways of Romanizing Chinese. A lot of what we see in American Chinatowns uses a system called Wade-Giles (or is "Wade-Giles-ish"). Pinyin is now the standard in Mainland China, so that's what I want to use in the book. 4. The English version should have the initials K. K. I want to use this as a mnemonic device to help readers connect the new character to Clark Kent. I can't use C. K. because there is no hard c in Pinyin. The Pinyin c is pronounced "ts," like in "cats." 5. The English version should be immediately pronounceable by American readers who haven't studied Pinyin. This means I have to avoid certain letters like x (pronounced kind of like "sh" in Pinyin) and q (pronounced kind of like "ch"). I pulled up a Pinyin dictionary on my laptop, had my mom on speed dial, and began brainstorming Chinese names. New Super-Man's surname was easy. In Pinyin, there are not that many Chinese surnames that begin with K. (Wade-Giles offers a lot more options.) It was basically between 孔 Kong and 康 Kang. I chose 孔 Kong because Kang is a conqueror in the Marvel Universe. The individual name was a lot harder, mostly because of constraints #4 and #5. Eventually, I landed on 恳记 Kenji. 恳 Ken is not commonly used in Chinese names, but it's been used in names before. Constraint #1, check. 恳 Ken means "earnest" and 记 Ji means "remember." Earnest remembrance lies at the very heart of the protagonist's arc. Plus, it could be an interesting plot device. ("Mom and Dad, what did you want me to remember?") Constraint #2, check. The Pinyin version has the initials K. K. and Kenji can be pronounced without any knowledge of Pinyin. Constraints #3-5, check. Gene had done his homework. But still, as soon as New Super-Man was announced, fans were quick to question the name. They were stuck on Kenji as Japanese. It felt like something had been overlooked -- something Gene acknowledges. "You can think long and hard about something and still come to the wrong decision. Or at least I can." Gene writes. "I was only thinking about how I'd make this character and his name work in the particular story I was going to write. I'd missed the forest for the trees." He had to change the name. It was back to the drawing board. With the okay from his editors, and a cadre of consultants that included both of his parents, Gene set off to come up with a new Chinese name. 6. The Pinyin version cannot sound Japanese. For a few days, Chinese characters flew in and out of my inbox. We finally settled things this past weekend. 南 Nan means "south." Appropriate for a kid from Shanghai, since folks from Beijing like to call folks from Shanghai "Southerners." 克 Ke means "to overcome." What could be more Super-Man than "to overcome"? Hopefully, this will abate some of the confusion around the character. Works for me. Frankly, I am such a huge fan of Gene's, I would have picked up this book no matter what Chinese Superman's name was. New Super-Man #1 hits stands on July 13.